A complete training course with guided meditations, innovative daily exercises, and scientific insight from expert teacher Lisa Wimberger. Modern neuroscience shows that what we do and think can change the physical structure of the brain—yet often this occurs unconsciously, when we habitually react to stress in unhealthy ways. 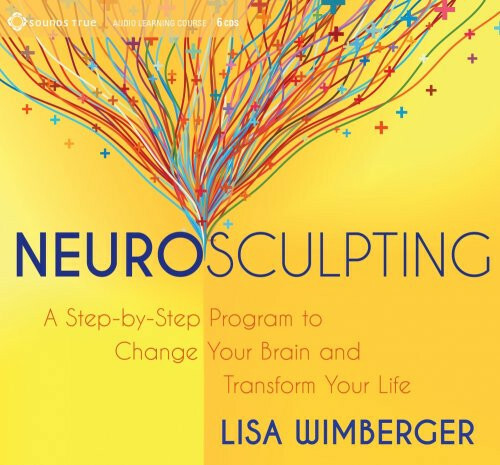 Lisa Wimberger created Neurosculpting® as a complete approach for consciously reshaping our brains for greater happiness, health, creativity, and compassion. With Neurosculpting, she offers you in-depth training in this powerful process for using meditation, mindfulness, diet, and unique daily practices to help you create positive, lasting changes in your brain—and your life. The first step in Neurosculpting is to change the way you deal with stress. You'll learn why the brain instinctively responds to everyday stress as a physical threat—and how you can "rewrite the script" that your nervous system follows when stressful situations arise. From there, Lisa offers guided meditations and practical strategies to help you improve your physical and emotional health, discover calm and joy, clear self-limiting beliefs, increase your creative flexibility, and connect to others. Lisa's content is so practical and perfect for those who are ready to make a change happen on a neurological level using a scientific approach. I have run through all of Lisa's guided meditations and feel instantaneous shifts during and following each one. I can only imagine what repetition of these meditations will lead to over time. medications. Prefer to go holistic route and locate the root of the problem. Highly recommend.